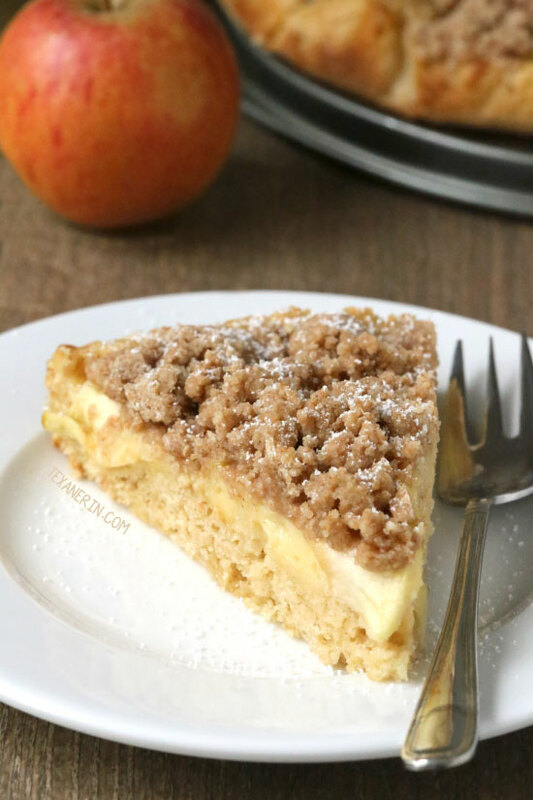 This German apple cake has a layer of cake topped with a thin layer of pudding, apples and then streusel! 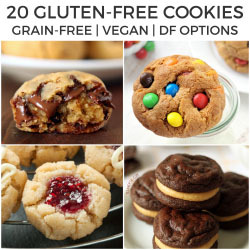 100% whole grain, all-purpose flour and dairy-free options. In four years of blogging, I’ve never shared a recipe for any German sweets. Mr. T posted this Eierlikör (egg liqueur) which is awesome, but German baked goods aren’t my thing. What you find in a typical bakery (which are absolutely everywhere!) is not nearly as moist and flavorful as American stuff. It’s not as sweet, either, but I actually like that! I should say that I’ve heard the baked good situation is much better in Southern Germany but in my opinion, it’s pretty sad in Berlin. And whenever there’s a get together with friends or a birthday at the schools I’ve worked at and people bring cake, I can only remember one time when a German brought a truly homemade cake. I’m not a cake mix snob but I think Dr. Oetker has a thing or two to learn from Betty Crocker because the cake mixes over here yield such dry and tasteless cakes. It could be that the bakers are to blame and over bake them but every single time? I don’t know about that. So I’ve been majorly hating on all German baked goods for the past six years. I gave up on bakeries after about a year. I was always disappointed and what I was getting wasn’t even worth the calories. Then a few months ago, I thought I’d do some research on Berlin bakeries and it turns out that most bakeries don’t bake everything from scratch any longer. So I found out which ones do and have visited a few so far. I’ve enjoyed at least half of what I’ve tried so it turns out that the problem is just that it’s hard to get your hands on homemade goodies around here! Like this apple cake. It’s actually a German streuselkuchen with added apples. There’s a thin layer of pudding, too. Some streuselkuchen recipes have pudding, some don’t. When searching for homemade streusel cake recipes with pudding, I couldn’t find any at all with homemade pudding. Every single one called for pudding mix. I put Mr. T on the job, thinking I wasn’t using the correct German terms in my googling. He didn’t find anything, either. When I told them that homemade pudding only takes a few minutes to put together and consists of only a few ingredients, they were dumbfounded. It was so bizarre! I came up with my own pudding recipe for this cake and then the problem was finding a cake base that actually tasted good using American whole wheat pastry flour. After over a dozen iterations and a month later, I just gave up and decided to adapt someone else’s recipe. ;) I found this awesome Rhubarb Buttermilk Streusel Cake on The Daring Gourmet (Kimberly is a German living in the US!) and made it whole wheat and dairy-free. It’s perfect. Her cake is way quicker than mine. If you don’t have much time but want a whole wheat and dairy-free version, just make hers with whole wheat pastry flour and coconut oil and fold in some apples instead of rhubarb. 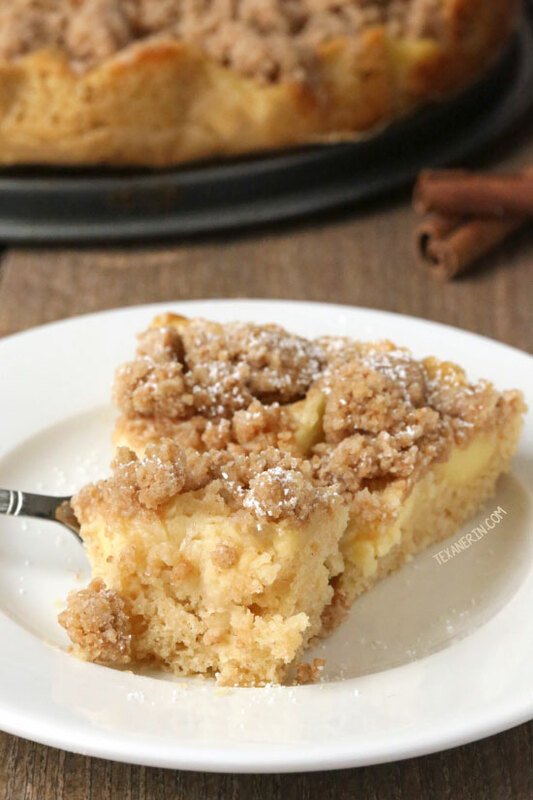 Use the streusel recipe here because coconut oil doesn’t work as a 1:1 sub for butter in streusel, pie crusts, and some other things. If you don’t need your cake to be dairy-free, I bet Kimberly’s butter version tastes even better than the coconut oil version! I also halved her recipe because I was adding a layer of apples and pudding and was worried about it being too much. Her recipe calls for 1 egg so the first time I made it, I used an egg yolk, assuming that’d be the tastiest way to go. Loved it. The second time, I used an egg white, knowing that people would want to use that since one egg yolk is used in the pudding. Don’t do that! The egg yolk version is definitely better. And if you don’t mind halving eggs, just whisk an egg in a small container and add 25 grams to the cake batter. Add the remaining half egg to your breakfast eggs the next morning! This cake is really thin by American standards but I’m afraid to tell you to double it because the only way you can tell if it’s truly done is to dig a big old gaping hole in the center of the cake. The problem I had with all the previous German apple cakes was that when the area around the edges were done, the middle was still totally undone. Then when the center was done, the rest of the cake was totally dried out. What I can tell you is that this recipe takes 30 minutes to bake in a 9″ pan. If you want to use a different size, you’ll have some hole-digging to do! If you’ve never had a German apple cake before, it’s pretty different than American apple cakes, which are usually loaded with spices, like my apple cake with caramel frosting. They’re also not quite as moist as my apple upside down cake. But still totally worth trying! For people in Germany: I made this with whole wheat pastry flour that I brought with me from the US. You could try this cake with regular whole wheat or whole spelt flour but since there’s not much flavor in the cake batter, it will taste very much of whole grains (which wouldn’t taste very good in my opinion!). For more German dessert recipes, try these German pepper nut cookies or these cinnamon stars! And if you’re feeling the apple love but this cake sounds a bit too fussy, try my gluten-free apple crisp (it’s made with oats and oat flour so it’s also 100% whole grain) or my apple blondies! In a medium saucepan, whisk together all pudding ingredients, except for the vanilla. Turn the heat on medium and cook, stirring frequently, until thickened – about 7-9 minutes. After about 5 minutes, start to stir constantly. It will go from thin and watery to thick in a matter of seconds. Do not let the pudding boil! It's okay if it boils for a few seconds, but not more. Stir in the vanilla. It will be quite a bit thicker than regular pudding and will thicken even more as it cools. Set aside to cool while you prepare the cake. If you want to prevent a film from forming, cover with a piece of plastic wrap. I skip that step and just give it a good stir after it's cooled. There will still be some lumps, but you don't notice them in the finished cake. In a small mixing bowl, stir together the flour, sugar, cinnamon and salt. Incorporate the coconut oil until well combined. If the mixture isn't firm, place in the refrigerator to chill while preparing the rest of the cake. Preheat the oven to 350 °F (175 °C) and place a piece of parchment paper in a 9" springform pan and press it down to conform to the pan's shape. Mix the apple slices, sugar and cinnamon together. Set aside. In a large mixing bowl, beat the coconut oil and sugar at medium speed until well combined - about 1 minute. It won't become light and fluffy like when you cream butter and sugar together. This will be more crumbly. Beat in the vanilla and egg yolk on low and mix just until combined. Add half of the flour mixture and beat on low until mostly combined. Stir in the buttermilk until combined and then the remaining flour mixture. Stir just until combined. Do not over mix! Spread the batter onto the bottom of the prepared springform pan. Spoon the pudding as evenly as possible over the cake batter. Use a spoon to very gently spread it, if necessary. Arrange the apples over the pudding and then sprinkle the streusel evenly over the top. Bake for 30 minutes. The center should only jiggle a little when tapped. The toothpick test doesn't work here due to the pudding. Let cool completely and serve. Cover and refrigerate any leftovers for up to 3 days. It's okay cold but tastes better once it's warmed to room temperature. I tried this with whole wheat pastry flour and the streusel spread out too flat. I used refined coconut oil, which doesn't have any coconut taste. If you use unrefined coconut oil, this cake may have some coconut taste to it. To make dairy-free buttermilk, pour 1 1/2 teaspoons of lemon juice or vinegar into a 1/2 cup measuring cup. Fill with dairy-free milk of choice (but not canned coconut milk). Let sit for 5 minutes. 61 comments on “German Apple Cake (whole grain, dairy-free options)” — Add one! Your recipe looks wonderful. I’m going to have to try it myself. I’m very surprised by your comments though. I spent almost five years in Germany on a military posting and the bakeries there were fantastic. Even all of my German friends whose houses I went to were so surprised that in North America we used so much sugar in our recipes, because if your ingredients were good and your flavorings were natural you did not need all that sugar to make things sweet. I loved the German baking and everything I ever had was from scratch. My time was spent in southern Germany though. It’s too bad that you had to have those disappointing experiences. I know I loved German food. I can’t think of one thing I had there that I didn’t like. Once again, looking forward to trying out your cake. It looks yummy. I hope you’ll enjoy the cake! I think the difference may be an East Berlin vs. Southern Germany thing. I now live in Bavaria and things look much tastier here. I unfortunately can’t eat anything from any bakery any more due to intolerances but my German husband seems to like the baked goods here better! That apple cake looks absolutely fantastic. Beautiful photos, too. I look forward to trying this. That German apple cake looks absolutely fantastic. Beautiful photos, too. I look forward to trying this. 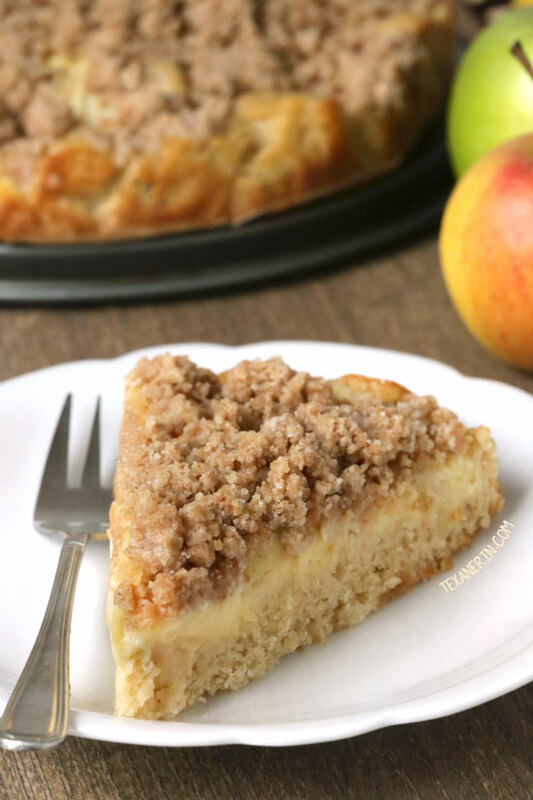 This German apple cake just looks sooo incredibly delicious, and I am so craving a slice right now! 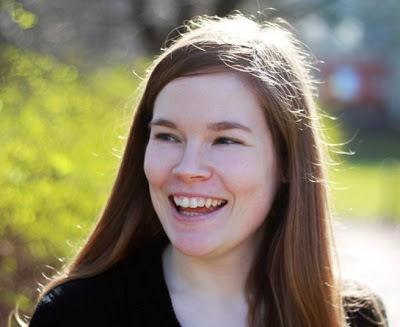 Thanks and kudos for this awesome post, Erin! This is absolutely magnificent, scrumptious, delicious, super yummy german apple cake, I had to try and make it. I used your suggestion and used 1 teaspoon vanilla extract. So happy that you liked it and found so many adjectives to describe it. :D Thanks a bunch for your comment and sorry for my slow reply (Christmas chaos got in the way!). Can this be made a day ahead and kept in the refrigerator? This must be fantastic Erin. Love the pudding and apple filling. You can’t go wrong with apple desserts! Can I use regular white flour? Right?! I don’t get it. So sad. This is so fabulous Erin. I can’t wait to try this. I swear I can almost smell it, the photos are just amazing. Oooh that looks so good! I’m sure it was totally worth all the testing :D Pudding + cake sounds like a great combination to me! In defense of Germany, they totally make up for it with the pretzel. ;) ha ha ha. This cake sounds incredible – that pudding layer is blowing my mind, plus apples AND streusel? WANT! Erin, why not canned coconut milk? Just because the pudding would have a coconut flavor? I’ve been very successful with coconut milk puddings, so I’m curious. Thanks. I just said that because canned coconut milk is quite a bit thicker than the other types of milk. When I was testing the recipe, it seemed like the thickness of the pudding had an impact on the final outcome (when the pudding was runnier, then the cake was a mess and when it was thicker, it just wasn’t as yummy ;)) You could certainly try it! Maybe add a little bit more vanilla if it looks ridiculously thick. I hope you’ll enjoy it! This cake is seriously lovely, Erin! … and I think it might be one I can handle making! Pinned! I grew up with German/Austrian desserts but have yet to try making any myself. Time to get baking! Cool! Are your parents from there? This cake looks absolutely mouthwatering! And, honestly, I prefer the thinner European style cakes to our multi-layer ones. But I’m so surprised that the bakeries there are disappointing. I would have thought the exact opposite! Very interesting. That said, I’m glad you showed them how it’s really done because your cake looks absolutely amazing! I can’t wait to make this cake. The pudding layer really puts this over the top. First of all, this cake looks sooooo yummy, love it! (And thanks so much for the generous mention :) Secondly, what’s up with Berlin?? I’m from Stuttgart and my mom is from Bavaria and I’ll tell you, there’s a reason why southern German cooking and baking is known to be the best :) Really truly, visit Swabia and you’ll have a very different experience both in the bakeries and in talking to home cooks. So strange they don’t bake from scratch! But good thing you are there to show em whats up! Okay, now please ship me this dessert because its the perfect combo of what I love! Oh wow… there’s no way I’d have ever guessed that this cake is completely dairy free. It looks so creamy and rich and delicious! I’m always on the lookout for dairy free desserts to make for my father-in-law, and this looks like it would be a big winner. Adding it to my list of must-bakes. I feel so sad for you that German baked goods aren’t on point. Lame. This cake looks awesome though – LOVE that pudding layer! I absolutely love to hear about the food differences between here and Germany! I’ve only been to Germany once but I don’t remember much. That’s crazy that most of them don’t know that they can make things like that from scratch but then again I know people here like that too. Love this apple pudding cake. That thick layer of pudding inside that cake looks just wonderful. Great job with ingredients too! My husband – lover of all things fruity and custardy – would absolutely adore this. I’ll have to make it for him sometime! I hope you’ll both enjoy it! Wish I could have made a grain-free version. This looks excellent and love that you made your own pudding!! I guess it’s not that hard – who would have known? LOL Love it. Haha, right?! It takes like 3 minutes to mix it all together! Haha, really no pudding from scratch?! Oh well. I LOVE your homemade pudding. Looks absolutely delicious. Yes! It’s SO weird! Everyone I ask about it (even people who like to bake) have never heard of homemade pudding. It’s so peculiar / funny! How strange the bakeries don’t make homemade things. I have gotten away from using regular cake mix. Just too many unhealthy things in it. Wait. German bakeries don’t bake from scratch? What’s the point? So odd. THIS German cake sure looks like a winner though. Love the topping!! Thanks, Stephanie! And I agree it’s weird. Hopefully it’s just an abnormal situation in Berlin! Or maybe some of them do some homemade stuff but use dough or pudding mixes and so on for certain things. I am really excited about this! I love baking and trying new things, and this definitely fits the bill. It looks light, and yet filling at the same time.